With no less than 25 years’ experience in the complex process of architectural design and building, Built Solutions is committed to providing impeccable quality and personalised customer service. I enjoy taking on a select number of projects each year, this allows me to build client relationships which form the foundation of successful and mutually satisfying building projects. Something large building companies and their plethora of site supervisors, sales consultants, and support staff struggle with. Individual attention at all levels of the design and documentation process results in seamless efficiency right through to the construction phase, which is how we add value. As a true custom builder every project is unique, every building exclusive. My ethos is one of continuity, attention to detail with innovative and solution focused direction. Offering full service capabilities from a client’s ‘wish list’ to construction documents, master plans and finally the fulfilment of my clients dream build and hand over of keys. We are Built Solutions and I am Joe Scinto, your builder. We all have a vision, but sometimes need a helping hand towards it. The work of Alexis Constructions expresses eloquence with a philosophy based upon attention to fine detail and commitment to service. The combination of creative talents, exquisite craftsmanship and ongoing enthusiasm, ensures every home expresses an element of individuality. Trusting only the best tradespeople, Alexis Constructions not only endeavours to create a home, but to make the entire experience a satisfying one. Proudly a long standing member of the Master Builders Association, Alexis strives for excellence in every project, offering a genuine, personalised service. As your one point of contact, Alexis devotes time to listen to your individual needs and understands the importance of turning a dream into a reality Just a phone call away, no question is too small or irrelevant. Alexis will work with you, around your busy schedule, to organise consultations at times that are most convenient to you, including afterhours or weekends if preferred Committed to provide you with a stress free and enjoyable experience. Our growth has relied on the referral of our satisfied clients. 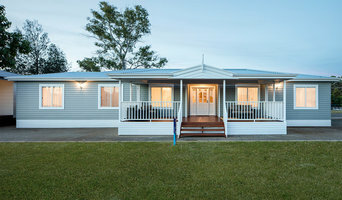 Allsteel Transportable Homes is South Australia's leading builder of steel framed relocatable homes and cabins. Our homes feature a wide range of standard floor plans for you to consider but we won’t restrict you or your imagination when it comes to designing the relocatable home that suits your particular needs. In each Allsteel Transportable home you are guaranteed the inclusion of the most innovative products and building technologies. In particular, the use of Supaloc Steel Framing System and Thermaloc insulation gives you an affordable, high performance, low energy, sustainable home. With the environment in mind, Allsteel Transportable Homes also provide a ‘6-Star Specification’ that allows you to meet Energy Rating requirements with ease. We aren't happy unless you love your new relocatable home and we pride ourselves on working with our clients in order to create tailor-made solutions. We offer an extensive range of designs with the flexibility to modify any of these to suit your needs and budget. Allsteel Transportable Homes continue to lead the way. See and feel the difference today. Why build with us? As a family-run building company in Adelaide – we promise to build you an affordable home that will stand the test of time. We’ll use our excellent long-standing relationships with industry suppliers to your advantage, and offer you the expertise of experienced staff who – like our tried and trusted trades – have been with us for many years. Building better homes, wherever you are We’ll perfectly match your needs and wants to one of our many home designs, whether you’re after a single-storey, double storey, duplex or triplex design, on a large block, small block or development site. And if we haven’t already got something that suits you to a tee, we’ll start from scratch and custom design you something that does. We pride ourselves on our flexibility and innovation, and the fact that we offer quality inclusions as standard. 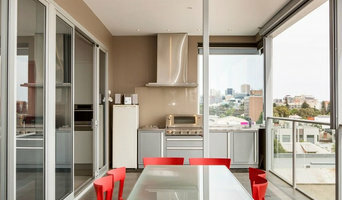 We at Adelaide Home Renovations are experts in quality home renovations. We thrive on customer satisfaction and our pride lies in the quality of our work. At Adelaide Home Renovations our main goal is to make sure that we achieve exactly what our clients envision. We have a fully licensed and qualified team with a wealth of knowledge and experience who will guide you and help you every step of the way. We have always been proud of our completed works and always leave our customers with a happy and positive renovations experience. Created by a passionate group of industry leading professionals, Lares Homes is dedicated to delivering the best full service approach to home building. Our vision at Lares is to be progressive by doing things differently. Everything we do is inspired by design, shaped by a full understanding of our clients’ needs, their ideas and the bigger picture of their lives. We’re open, down-to-earth people who will work closely with you to ensure the overall plan, detail and expectation is delivered. We have the flexibility to create work that is not only of the highest quality, but is specifically tailored to your personal requirements. The Lares team has vast experience designing and building in all areas of Adelaide, whether that be a hills and country estate, a coastal retreat or an inner suburban site with specialised council requirements. Our mission is to make great design accessible, creating unique homes of real style and enduring value. Klemm Homes is a multi-award-winning custom home builder. You will experience luxury living at its best with custom designs that are inspiring, beautiful, luxurious and inviting. We are a boutique builder specialising in luxury custom homes; only building an exclusive amount of homes per year. We pride ourselves on a high level of quality and workmanship, offer a seamless build process and are with you every step of the way. At Klemm Homes we involve you in the process which means you can enjoy the excitement of seeing your vision come to life. We build strong relationships and communicate with our clients to ensure a smooth build process whilst maintaining integrity throughout your building experience. Your home is the essence of your individuality. It’s a reflection of who you are. It’s your sanctuary. Your home design matters. Through understanding the best home design and floor plan to suit your block, and the colours, textures and materials to create the right ambiance within your home, the tight-knit team at Clairville Homes bring your dream home to life. Because Clairville Homes are a custom home builder, you’re never just another name on another generic house. Each of their homes are carefully planned and detailed to suit your exact needs and tastes. You’re assigned your very own build team who are there with you through planning and construction, to choosing and fitting the interior design. Working together ensures a seamless build from day one, to the day you’re handed the keys to your new front door. Rossdale Homes is one of South Australia's most respected new home builders, a proud family owned company that has been building award winning new homes since 1980. With more than 35 years financial and building experience, Rossdale Homes are strong supporters of affordable, quality new homes as seen in our many display villages around Adelaide as well as many one of a kind custom owner designs. To achieve this, we have listened carefully to our customers input, strived to meet their needs and developed a tradition of providing exceptional service that is tailored to the customers individual new home. If you’re looking for a home that welcomes you with a sense of uncluttered space filled with warm, natural light every time you open the door, a home that dares to be different in design so family life is more enjoyable, we’re confident a Gallery Living home is for you. 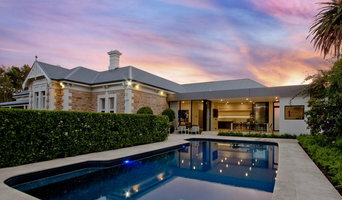 Mirage Homes delivers outstanding quality new homes and developments across Adelaide. We pride ourselves on one-on-one customer service, and have a keen eye for detail. Founded in 2001 by carpenter Michael Villis, Mirage Homes' success has been achieved through word of mouth. Our process guides you from initial consultation through to design, and the completed construction. During this whole process you'll deal solely with Michael Villis. Unlike large builders, you can query Michael at any time during the process and be attended to immediately. There are limited number of available projects during the year to ensure first-class service and complete customer satisfaction. 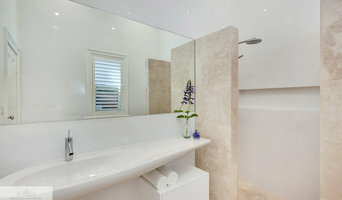 Multi-Award Winning, South Australian Home Builder. We pride ourselves in delivering the highest quality products and providing our customers with excellent, personalized customer service. Whether you are looking to build your first home, forever home or holiday home, we have a home solution for every lifestyle.